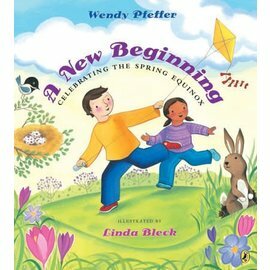 This charming story will help children and parents enjoy the winter season in a meaningful and all-inclusive fashion. It's Christmas time all across America and Jenny is feeling left out. 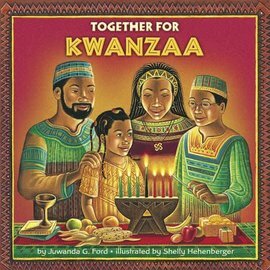 Her secular parents, born to different faiths that they no longer observe, don't believe in celebrating Christmas. She never seemed to mind before, but this year it bothers her--maybe because they're home and not on the Florida coast where they usually go at this time of the year to avoid the holiday hoopla. All around her the neighbors have decorated their houses with festive lights, while her house by contrast looks drab and uninviting during the long, cold winter nights. Itfs made her feel like an outsider. Why does her family have to be different? She talks with her mom and dad about their reasons for not observing the holidays. 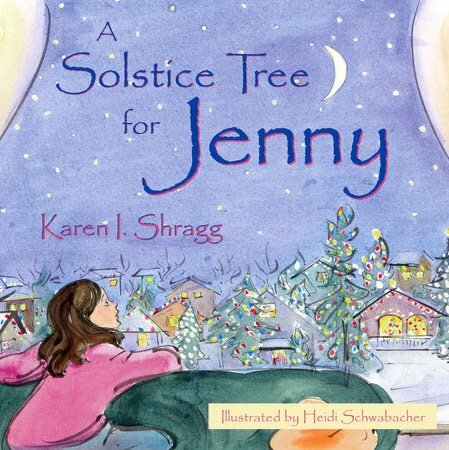 Then one day a teacher gives her "an awesome idea": she tells Jenny about the winter solstice and ancient traditions among many peoples of the northern hemisphere who celebrate this shortest day of the year in anticipation of the longer, warmer, and brighter days of the coming spring. Why don't we celebrate the winter solstice, too? Jenny wonders. Her parents can't help but agree and a few days later they bring home a potted pine from the local nursery for the living room. What fun they all have placing their special decorations on the solstice tree. And best of all, Jenny can now invite any of her friends, no matter what their religious backgrounds are, to admire her beautiful tree. Everyone can participate!